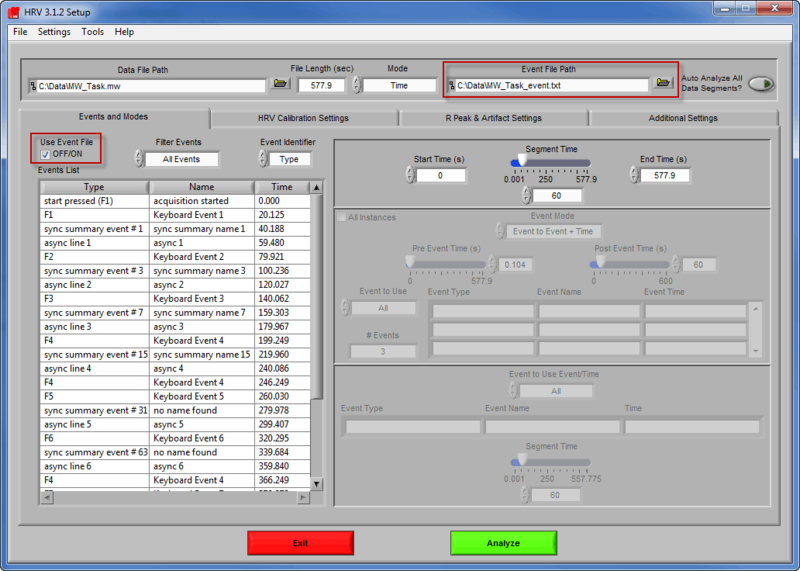 Event files contain timing information for all events captured during data acquisition. 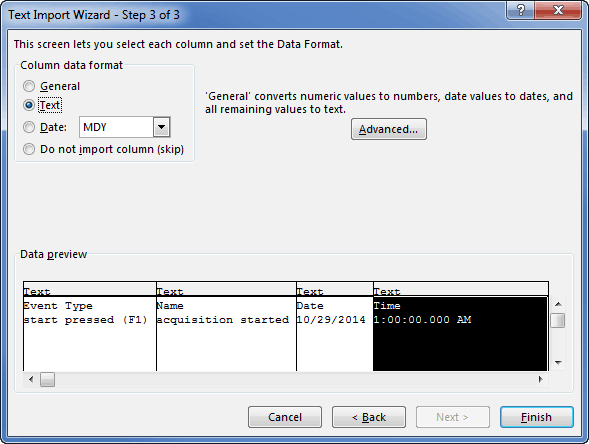 They are automatically created as a companion file to the data file (.mw) in BioLab 3.0. However, if you are analyzing a non-MindWare data file, this file will not automatically exist. 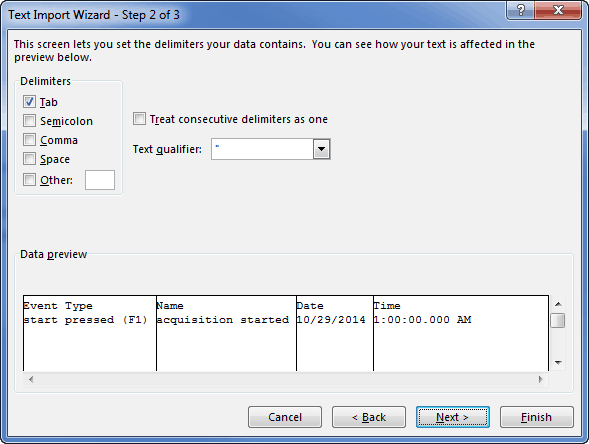 If you would like to analyze based on events with this file, you will need to create an event file. This article details how to create one manually, and how to use it in the analysis applications. For further details on the event file format, see this article. Note: MWX/MWI files created by BioLab 3.1 contain event information within them, and do not require the MindWare Event file. 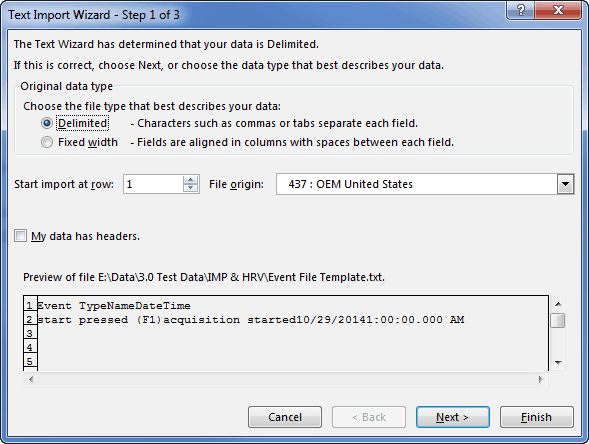 All MindWare analysis applications in the 3.x series allow the selection of an event file for event-based analysis. 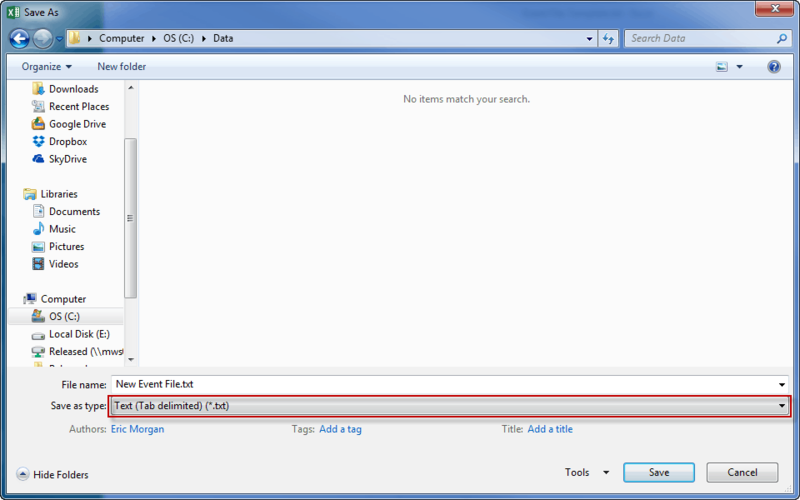 To select an event file, you must first open the corresponding data file. Once the data file is opened, browse to the event file using the folder button on the Event File Path control. Ensure that Use Event File is checked, and the Events List should populate with the events from the event file. These events can now be used to index to specific times in the data file for analysis purposes. To select a MindWare event file for use in the analysis application, follow the instructions in this manual. Note: The HRV manual is linked, but the process is the same for all analysis applications.